A fiery lenticular cloud floats above Mount Shasta. This week is kicking off in fine form. With the forecast giving us sunny days and temps in the mid-60’s, it looks to be a beautiful beginning to spring. We are even heading outside to get our garden prepped. 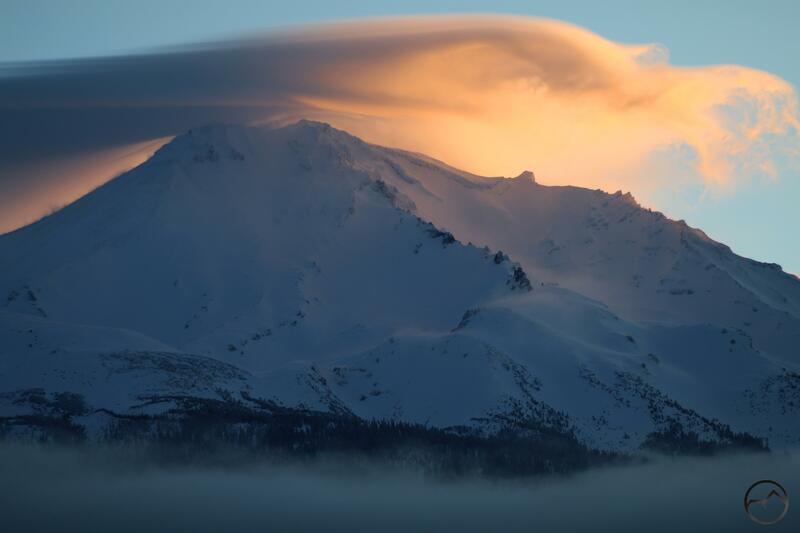 Of course, Mount Shasta had to get in on the action and put on a great lenticular display this morning. It was not the kind of overwhelmingly spectacular performance with grand clouds and amazing and unusual formations. Instead, this morning saw a nicely formed cloud flowing across Mount Shasta’s summit and catching the light from the rising sun. It was a gorgeous sight, once again making me thankful to be able to witness such a sublime scene. What made this morning all the more interesting was the amount of secondary lenticular activity there was. Even Black Butte was able to get in on the activity for once. None the the clouds were grand on their own but together, they made for a wonderful spectacle. Spring is here. 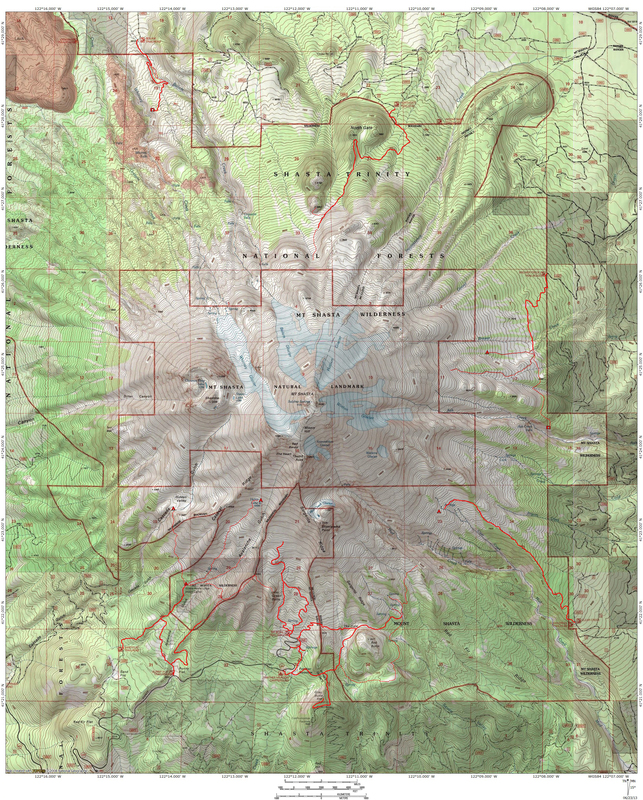 I guess I will have to get to work on writing my spring hiking round up! I won’t go into detail here, but I will give a few thoughts in the captions for each image below. As the sun came up, the cloud’s shape really began to fluctuate. A nice wave formed to the south, above Spring Hill. Though it was gone by the time the sun came up, it was a constant presence throughout most of the sunrise. As I was shooting the lenticular, the wind whipped up and started blowing snow off of Sargents Ridge. The airborne snow then picked up the dawn glow too. Black Butte had a large lenticular on it as well. It was strange to be so close to one of these formations. The lenticular on Black Butte was impressive in its own right. Though not a classic lenticular, even Mount Eddy had some disk-shaped clouds.